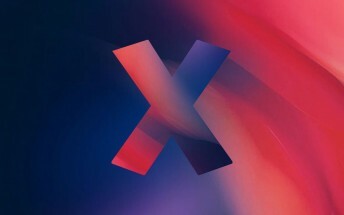 The name “Redmi X” was first associated with what turned out to be the Redmi Note 7, but the real thing is coming on February 15 as revealed by a teaser poster (note that it doesn’t come from an official Xiaomi account). 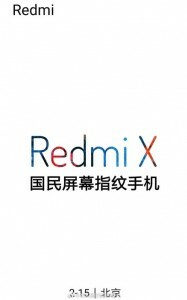 Said poster hints that the X will become the first Redmi to feature an in-display fingerprint reader. This was a premium flagship feature just a year ago. The Redmi X is expected to be more powerful than the Note 7, perhaps using as Snapdragon 710 instead of a 660. This could be the rumored Redmi Note 7 Pro, which is scheduled for a February announcement with a Snapdragon 675 chipset, plus a 48MP camera (using a Sony sensor instead of the Samsung one). The Chinese Spring Festival starts on February 5 and ends on February 15, so that's a great time to launch a new product. The Redmi Note 5 and 5 Pro were announced on February 14 last year.